Check out our new blog post about Australia and the #ozballoonwedding! Thanks for attending PRIDE 2018! 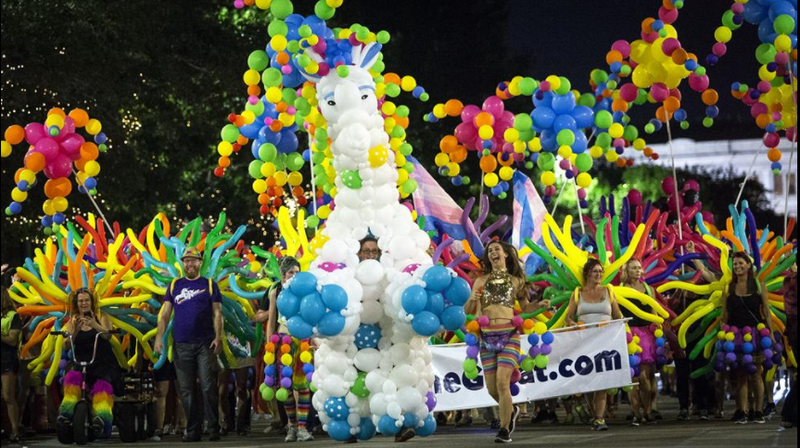 Thanks for marching with The Balloon Collective in Austin PRIDE!! Even though it rained like crazy, we still were loud, colorful and PROUD at Austin PRIDE 2018. There were about 75 of us, and we were definitely one of the hits of the parade! Huge thanks goes to our local Austin sponsor -- Hi-Rise Balloons and Floral Supplies -- our Texas sponsor -- All American Balloons Texas -- and YOU. With their sponsorship and your generous donations + fantastic energy, doing balloons for PRIDE each year is definitely sustainable! If you'd like to sign up to be notified about our parade contingent for next year, fill out this quick form. We'll only send you one email next June, once we start organizing for PRIDE 2019. If you prefer Facebook notifications, our event is here.